Exactly half of the class is now in store as work dries up following the end of the Caledonian Sleeper haulage contract. The end of the contract to hire Class 67s for use on the Highland portions of the Caledonian Sleeper services had a detrimental effect on the fortunes of the General Motors design during July. When Nos. 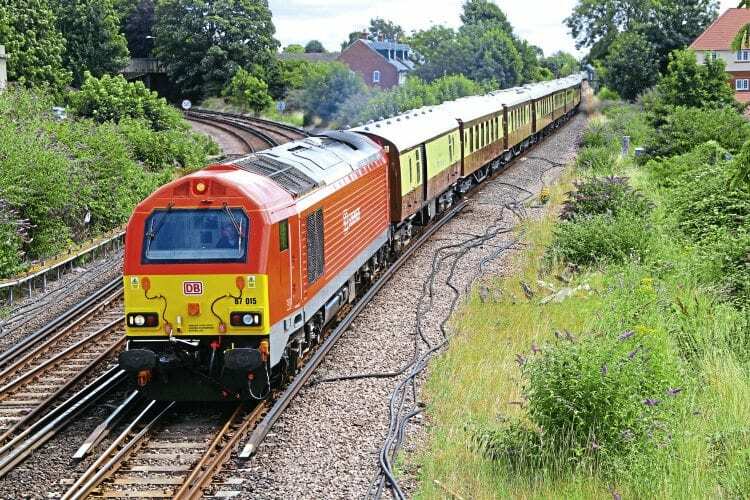 67007, 67012 and 67030 ran light from Edinburgh to Crewe Electric during the early hours of July 1, there were 10 of the class in store. By the end of the month, this figure had risen to 15, meaning that exactly half of the fleet is now in store at either Crewe Electric or Toton. The latest casualties include the aforementioned trio, which were all progressively stopped at Crewe Electric during the month, as was classmate No. 67022. As July ended, No. 67001 was also stored at Toton for the duration of repairs.